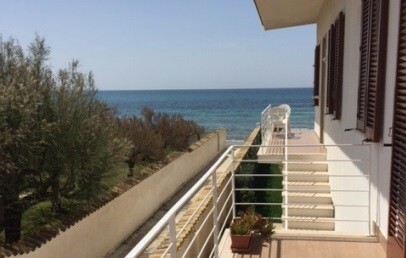 Located in Contrada Berbaro, on the southern coast of the city of Marsala, SuiteBeach B&B has a great location right on the beach of the coast, otherwise known as the beach of Lido Signorino. 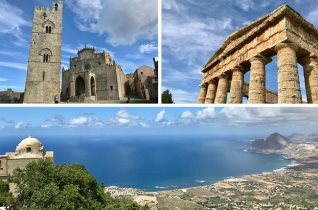 The villa is surrounded by a beautiful garden with lawn which borders the most beautiful beach on the coast of Trapani, a beach of fine and soft sand. 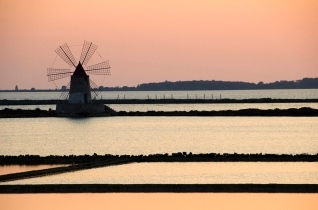 In the evening, it offers a spectacular sunset on the Egadi and in particular on the island of Marettimo. 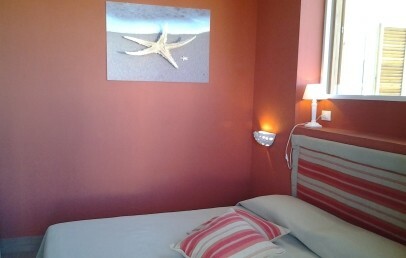 The SuiteBeach B&B has only a few rooms and all offering maximum of comfort. All have the privilege of offering a lovely sea view. The highlight of the hotel is definitely the service: attentive, accurate, personalized and aimed at maximum comfort and relaxation of the guest, who enjoy his stay in a family-friendly environment. 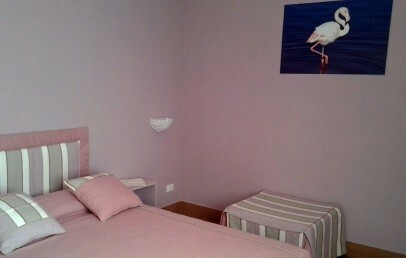 The 4 rooms at SuiteBeach B&B have a personalized decor and are different from each other. 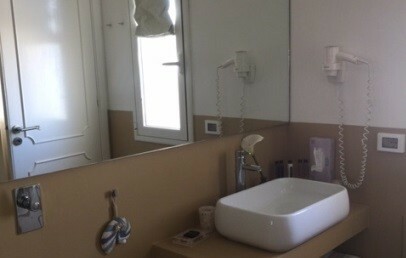 Have a private bathroom with toiletries, bathrobes and slippers, air conditioning and free internet access via wireless. 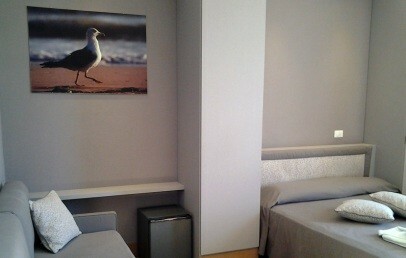 All rooms have either a frontal or lateral sea view. 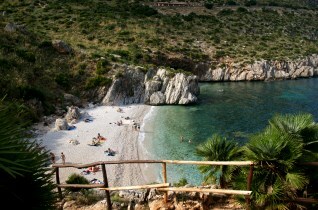 The nice beach is adjacent to the lawn of the SuiteBeach. The hotel offers their guests per room 1 parasol, 2 sun loungers and one beach bag. The beach towels are available with a surcharge (€ 2,00 p.p. per day). The garden has comfortable corners with tables, chairs as well as a convenient outdoor shower and a hot tub in a common relaxation area, which is available to all guests. The veranda is surrounded by the fragrant garden too, and offers sweeping views of the sea. It is here, in the garden and on the veranda, which breakfast is served, full of delicious products of Sicilian tradition. Private parking, BBQ area, free Wi-Fi connection throughout the hotel, children's play area, ping-pong table, reading corner with newspapers and magazines. 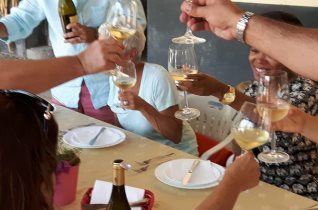 On request, the hotel can help you in booking trips, tours, cooking classes, photography, ceramics, kitesurfing, restaurants and babysitters. Moreover a personalized massage can be organized in the garden (reservation needed) and guests can book treatments at a partner wellness centre in the city centre. City tax – of Euro 2,00 per person per overnight for a maximum of 5 overnights, children under 14 years are exempted. This tourist tax has to be paid on spot. Each room has a personalized furniture; all rooms feature a private bathroom with shower, complimentary toiletries, hairdryer and slippers. All rooms have lateral sea view; some have a window while some others have a balcony. The Wi-Fi connection is available free of charge. The Deluxe room is funished with comfort and has a private bathroom with shower, complimentary toiletries, hairdryer and slippers. The room has a nice terrace with frontal sea view. The Wi-Fi connection is available free of charge. Each room has a personalized furniture; all rooms feature a bathroom with shower, complimentary toiletries, hairdryer and slippers. All rooms have lateral sea view; some have a window while some others have a balcony. The Wi-Fi connection is available free of charge. Each room has a personalized furniture; all rooms feature a private bathroom with shower, complimentary toiletries, hairdryer and slippers. All rooms have sea view with a balcony. The Wi-Fi connection is available free of charge. Each room has a personalized furniture; all rooms feature a bathroom with shower, complimentary toiletries, hairdryer and slippers. All rooms have a balcony with sea view. The Wi-Fi connection is available free of charge. Long Stay - 10% reduction for minimun stays of 7 nights! Special 5% reduction for stays until May 31st! 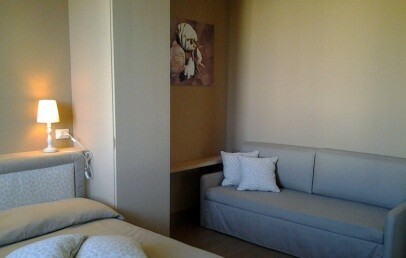 Baby cot (maximum 1 per room) to be requested upon reservation and to be paid on site: € 10,00 per night.